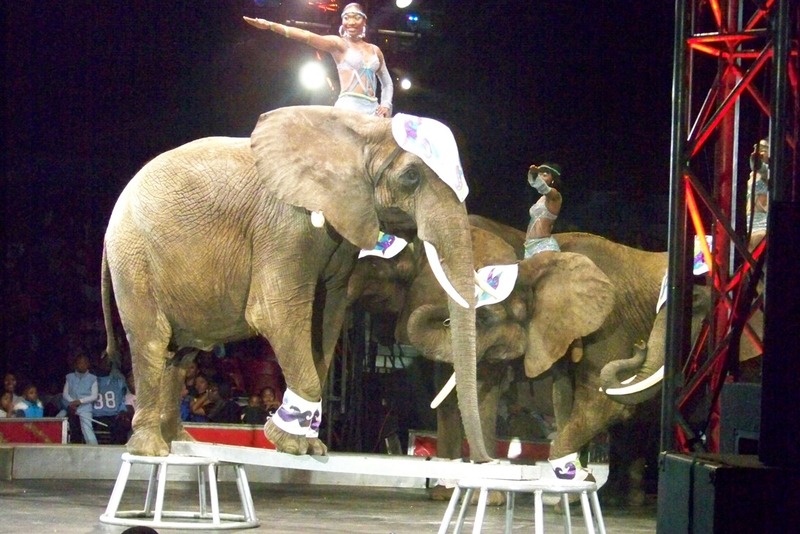 UniverSoul Circus rolled into Charlotte this week and held its opening night Tuesday. 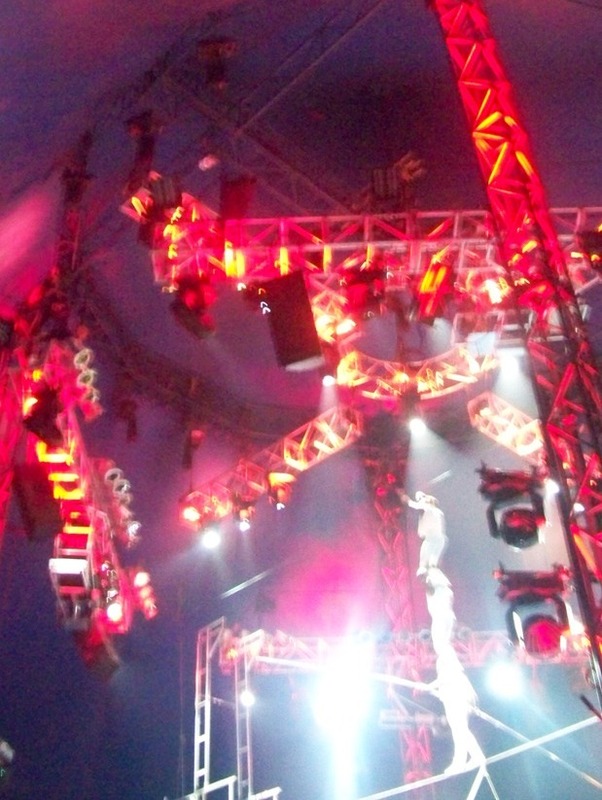 Even though the three cities I've lived in over the last 10 years have all had the big-top show set up shop there, including repeated visits to Charlotte, this was my first time going. I've always heard good things about the Atlanta-based circus that was created in 1994 to spotlight African-American performers. But I was never too drawn to going to any of the shows since I don't have kids. The circus is for families, I thought. 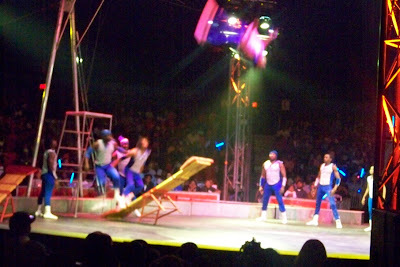 Well, I was thoroughly entertained at UniverSoul Circus. A near-capacity crowd filled the tent on Freedom Drive for the 7:30 opening night show. There were plenty of parents there with their bunches of kids in tow. And there was also a surprising number of adults there without kids. It was immediately apparent that music and dance would be a big part of the entertainment. It opened with African music with dancers strutting to every beat of the drum. Acrobatics also abounded, making you wonder how it's physically possible for people to be stacked on each other's shoulders. As the show really got going, hip-hop music became the staple--speakers pumping bass like a rap concert. Ringmaster Shuckey Duckey, who I'd mostly known as a comedian, orchestrated the evening. Because I don't want to give too much away to people reading this who might be planning to go this week--there are a lot of surprises and breathtaking feats--I'll just touch on a few highlights. Since it was opening night, we probably got extra treats such as Charlotte's professional sports mascots--Sir Purr (Carolina Panthers), Rufus Lynx (Charlotte Bobcats), and Homer (Charlotte Knights)--being a part of the show. Panthers linebacker Thomas Davis came riding in on an elephant and Power 98's No Limit Larry was part of a high-flying slam dunk performance group. The tightrope stunts were amazing, hoisted at least 30 feet in the air. 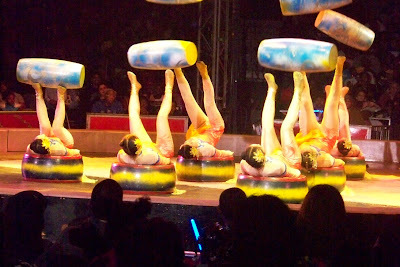 Also equally impressive were the acrobatics performed by a group from China, which the ringmaster said was performing in the U.S. for the first time (see video of the group below). 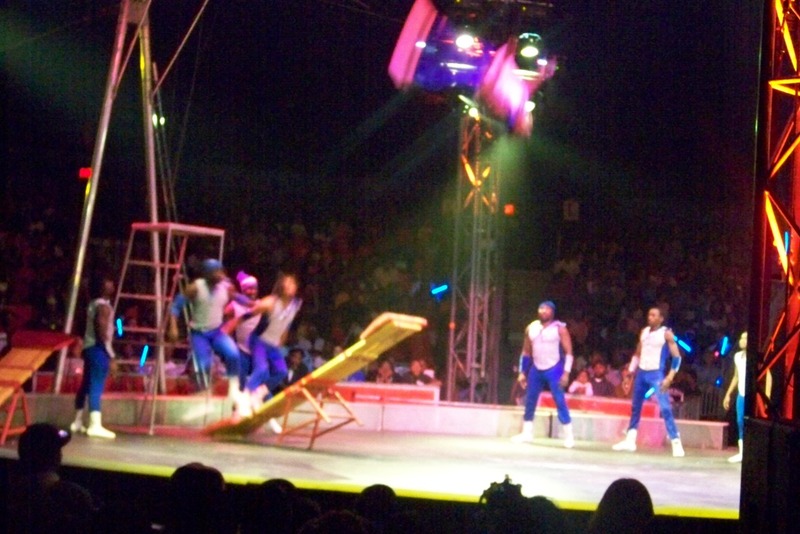 This is indicative of how UniverSoul Circus has grown to incorporate performers from about a dozen countries. The only negative thing I have to say about the show is that it lasted a little too long. At two and a half hours, that's a bit much for an audience filled with parents and children. At about 9:45 p.m., people started to slowly file out, likely because they'd had a long day and their kids had school in the morning (the show ended shortly after 10 p.m.). I think the circus should try to cut it down to a two-hour show (perhaps this night ran a little longer than usual since it was opening night), and one step toward this would be to shorten intermission, which lasted 30 minutes (kids were given elephant rides during this time). Thursday, Nov. 18: 10:30 a.m. and 7:30 p.m.
Friday, Nov. 19: 10:30 a.m., 4 p.m., 7:30 p.m.
Saturday, Nov. 20: 12 p.m., 4 p.m., 7:30 p.m.
Sunday, Nov. 21: 12:30 p.m., 3:30 p.m., 6:30 p.m.
Tickets, ranging from $12 to $27, can be purchased through Ticketmaster.